Independent agents usually represent an array of companies and are aware of which of them—or more likely, which combination of them—may best serve your individual or business needs. Buying directly from a single company limits you to what that company has to offer. Depending on your individual situation, that offering may or may not be the best fit for your needs. Far from from the usual small local independent agent, Ironbridge’s links to sophisticated brokerages, intermediaries and carrier networks, provides a unique insurance organization to serve you, even if your insurance requirements do not fit into the “one size fits all” typical insurance program. Ironbridge Insurance is licensed to serve clients in over a dozen US jurisdictions including, but not limited to: California, New York, New Jersey, Florida, Pennsylvania, North Carolina, South Carolina, Virginia, Washington State and Washington DC. Ironbridge also writes non US exposures for US based organizations, as well as US based programs for non US headquartered organizations. At Ironbridge, you will be working with a knowledgeable agent, not an order taker. 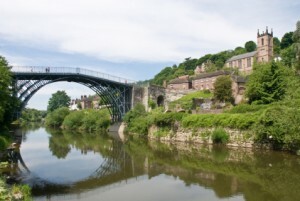 At Ironbridge, you’ll get to know us by name, and we’ll get to know you as a person or a business, not a policy or client number.